Kara Gillian is in seriously deep trouble. She’s used to summoning supernatural creatures from the demon realm to our world, but now she’s the one who’s been summoned. Kara is the prisoner of the demonic lord Mzatal, but quickly discovers that she’s far more than a mere hostage. But waiting for rescue has never been her style, and Kara has no intention of being a pawn in someone else’s game. Yet intrigue and treachery are running rampant, and Kara is hard pressed to keep her wits about her. Her abilities as a homicide detective are put to the test as she seeks the truth about FBI Agent Ryan Kristoff; Rhyzkahl, the demon lord she is sworn to; and her own history in the demon realm. She's going to need all the strength and tenacity she's developed as a cop and a summoner, or the hell she endures may well last forever. 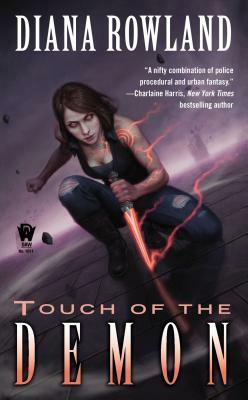 Touch of the Demon is the exciting fifth installment of the Kara Gillian series.